Who would like to emulate the Parisienne? You know, that elusive French woman who displays effortless glamour, timeless style and natural skin that women around the globe aspire to. I was talking about the Parisienne cliché with a friend and we both agreed that while she may exist, she certainly wasn’t hanging out on every café terrace. We both grew up in Paris and have friends who still reside there, I can’t say that any of them fit the Parisian model. And yet from Caroline de Maigret’s How to be Parisian bible to Inès de la Fressange’s Parisian Chic guide, much has been made of this timeless icon. One trait that does resonate is the less is more approach to makeup and dedication to a tailored skincare regime. You will find pharmacies on every street in Paris, where you can buy the best skincare products at affordable prices. Here are the ones I’m using right now. A staple French pharmacy skincare brand, I used Avène as a teenager to help combat my stubborn acne. The brand’s heritage goes back hundreds of years when the soothing, anti-irritating properties of Avène Thermal Spring Water were discovered. The water is now used in products recommended for sensitive skin, with the Cleanance range gently tackling blemish-prone skin. This emulsion claims to eliminate spots, reduce inflammation and regulate the production of sebum. I use it straight after cleansing morning and evening, with a special focus on the dreaded T-zone and it does provide a mattifying effect with no clogging up of pores. As a teenager this would be all the moisture I’d need but as a thirty-something year old my skin demands more, so in the mornings I follow up with Cloud 9 Tranquility Ultra Soothing Cream on the dry areas (the joys of combination skin). 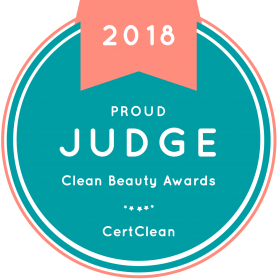 Avène Cleanance Expert is a wonderfully light, oil and paraben-free cream, and with French pharmacy brands increasingly available in the UK, you can pick up Avène in Boots for £15.00. I discovered this skincare product in my parents’ local Monoprix, a French supermarket chain with a really good beauty section providing the kind of skincare products you would find in a parapharmacy. I love micellar waters, they’re the ultimate multitasker (essential if you’re looking to declutter your bathroom): removes makeup, cleanses, soothes and refreshes. Diadermine’s version is a lotion rather than a water so has a milky texture and smells incredibly fresh. I’ve been using it every evening with cotton wool to remove makeup and even when not wearing any I can see all the London grime it wipes off my face. My skin is left feeling soft, fresh and hydrated. I haven’t been able to find it in the UK, so if you make a trip to Paris, don’t forget to stock up, this retails at around 6 EURO for 400ml! Or at any rate have a browse in Monoprix’s beauty section and you’re bound to get one step closer to the Parisienne’s skincare routine. If you mention La Roche-Posay to a Parisienne, she will know the brand. Chances are she will be using it. It’s as much part of the French skincare landscape as Liz Earle is in the UK. The cult Effaclar range has been specifically designed for oily and blemish-prone skin, featuring La Roche-Posay Thermal Spring water in product formulations. ‘Gentle’ is the first word that springs to mind for this facial cleanser, probably due to the spring water and zinc which makes it ideal for sensitive skin. This is an unusual quality for a spot-tackling gel, I tend to find them very drying but La Roche-Posay’s offering is light, fresh and leaves your skin feeling the same way. It really feels like you’re taking care of your skin in the gentlest, simplest possible way, taking off what it doesn’t need (makeup, dirt, excess sebum) for a clean result free from irritations. Boots has also snapped up this French pharmacy brand so you can pick up the Effaclar cleansing gel for £12.00. Product photographed is a sample. Filorga Laboratories specialise in anti-ageing therapies including filler injections, but luckily you don’t have to go to those lengths to benefit from the brand’s expertise. Probably over-packaged with an outer box, leaflet, insert and thick-walled jar, the Scrub & Mask does have an interesting dispensing mechanism that I’d never seen before: once you remove the lid you need to press the top of the product with both thumbs for the liquid to come through the middle. The amount dispensed is just right to wash your face and neck, massaging the fine scrub into damp skin then leaving to settle. The texture is then supposed to transform into a mousse for a reoxygenating effect but I didn’t get that result – maybe I didn’t use enough water? Once I’d rinsed it off with a muslin cloth my skin felt so smooth I couldn’t stop touching it (probably making it all dirty again). This is the priciest product reviewed at £40.00 for 55ml, so I would use this 2 or 3 times a week depending on skin type. Being half French I may be biased, but I think if there’s one inspiration to take from the Parisienne it’s the focus on a simple skincare ritual using the best a French pharmacy has to offer. Which ones have you tried? Leave a comment below to let me know. I love French beauty, I’ve heard of a couple of those you mention but not actually tried them. You’re right though, we do tend to think of Parisienne women having a “je ne sais quoi” which eludes British women, but not the case as you say! I’ll keep an eye out for your favourites here. I’d love to hear about the French beauty brands that you’ve tried. Always on the look out for new skincare to try… And if this ‘je ne sais quoi’ really exists then I definitely don’t have it! Not yet to try Filorga, but I am so tempted to. I read a lot of good things for this brand. I agree Avène Cleanance works well as a targeted treatment for breakouts (unfortunately I’m using it at the moment!). I really rate both Avène and La Roche-Posay for acne-prone skin – having lived in Paris it’s what I’ve grown up with and still now incorporate them in my skincare arsenal.